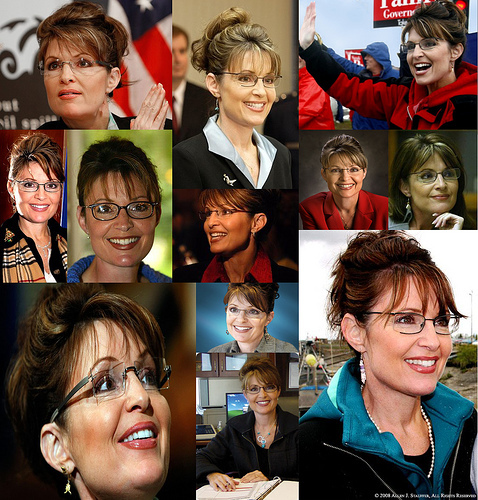 Is Sarah Palin the new Esther? A presidential election is a time when nations consider their destiny, even though personal considerations may brood heavily in the minds of the people — in our case, the economy. The church, especially, has always been a place where people strongly feel the sense of national destiny, balancing out presentiments of looming disaster. Even if they do little about this intuition, their enthusiasm surfaces. The buzzword around the church for awhile was that Sarah Palin is the new Esther. The excitement has died down now that the media has anointed its choice for president. But whether McCain and Palin win the White House or not does little to diminish the current American dynamics — bouncing around somewhere between promise and peril. If Palin is the new Esther, it begs the question: Does that make McCain the new Mordecai? Who knows. What I do know is the church must roll up its sleeves and get into the dirt. We must be reminded of what it took to save the Jews if we truly want to save our culture. Esther was an intercessor; Mordecai a prophet. We forget that it was not Esther who saved the Jews, nor was it Mordecai. They were the catalysts for the fateful event. Rather, it was the people — the entire population of Jews — who took the necessary action to prevent a holocaust. Esther instructed the Jews to fast while she interceded with the King, and they did. They did more than fast their coffee break, though. Esther 4:3 says that “there was great mourning . . . with fasting, weeping and wailing. Many lay in sackcloth and ashes.” And though Mordecai’s and Esther’s intervention was successful, the operation would have failed had the people not acted with their new-found authority and boldness. But before they acted so courageously, they underwent humility and desperation — something absent in the church. The Bible says the people had the authority to “Defend themselves by all possible means.” But defense alone was not enough. To ensure that such a threat would never be posed again, they were empowered to “Take action against every man, woman, and child who would rise against them”Esther 8:11. In so doing, it was the people—the common man—who heroically saved an entire nation. We forget that in our rush to applaud Esther. In the same way, it is beyond the task of two people elected to the highest offices in the land to save our nation. We all strain to hear the latest announcement from our circuit-riding prophets and enlist professional intercessors to pray for us while we carry out our individual ministries, but are we prepared to take up a new mantle of authority and a new mandate of power as ordinary Christians in order to fulfill what we see as the obvious will of God? We must not abdicate this civic responsibility to the prophets and the intercessors. Look at it like this: the prophets are on the mountain, the intercessors are in the valley, and the whole army of God is on the plain. On a personal note, I believe that Sarah Palin and her daughter are concrete warnings to our culture. They clearly represent the sanctify of human life. Here you have a teenager who chooses to bear the shame of pregnancy and carry the baby to term rather than to conveniently dispose of the child. Then you have a middle-aged woman who chose not to abort a Down Syndrome baby, as is routinely done. The Center for Disease control reports that 84% – 91% of Down Syndrome babies are aborted in the U.S.1 The fact that only 5,000 babies with Down Syndrome are born in the U.S. each year clouds the real numbers — that means 5,000 escaped the forceps, and that about 80,000 were pulled limb from limb.2 My God in Heaven! Shall you not require their blood at our hands? How many Christians watched Saturday Night Live and giggled when Tina Fey mocked Sarah Palin and said, “Marriage is a sacred covenant between two unwilling teenagers”? I did. I guess I was traveling so fast down the highway of eternal American freedom that I failed to see God’s billboard advertising Justice Straight Ahead. As for the election, is Sarah Palin destined to win? No more than Esther was destined to deliver the Jews. And no less. Esther had to decide to take up the challenge, and so did the Jews. If we want national deliverance, we have to decide what we want, then do what is incumbent upon us. But if we want a guarantee from government to sustain our comfort in Babylon, then I have nothing more to say. 1Siffel C, Adolfo C, Cragan J, and Alverson CJ. 2004. Prenatal Diagnosis, Pregnancy Terminatino and Prevalance of Down’s Syndrome in Atlanta, Center for Disease Control and Prevention, Atlanta, Georgia; Birth Defects Research (Part A) 70:565:571. I went to “early” vote today. I cast my very red vote in my even redder state. And I am feeling very pink inside. Thanks for sharing with me, Lamar. The Lord’s treasury of secret places is rich inside you…and I love how you bring them to light for all to ponder, react and enact upon. May we heed the call to prayer. Oh, that God would find us on our knees as much after the elections as before – regardless of who occupies the White House!